GN Solids Control manufactures over 300 sets decanter centrifuge every year. Most of the centrifuges are using in the overseas market, and only 30 percent decanter centrifuges are using in China. 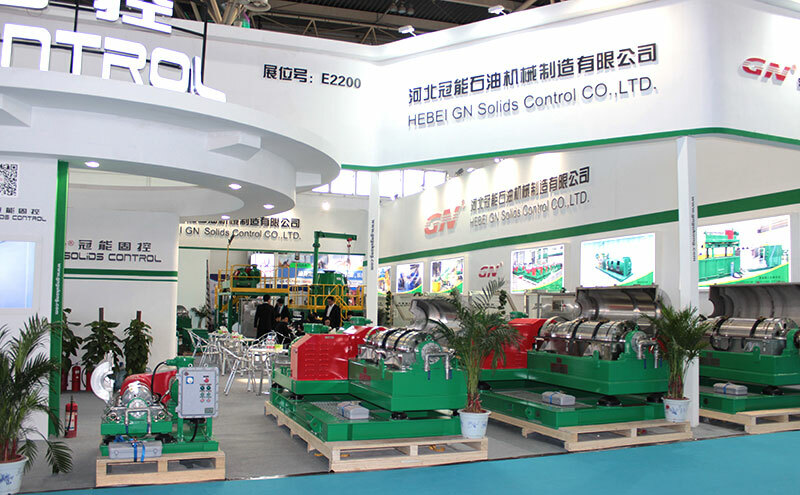 GN Solids Control equipments are successful to meet various customers’ demands for solids control and drilling waste management. GN Solids Control provides many different centrifuges, such as 9 inch rotating bowl centrifuge for diamond drilling or mining, 14 inch and 18 inch for oil and gas slurry separation or industrial water dewatering, 22 inch rotating bowl for large volume separation. This year, GN Solids Control provided one more compact decanter centrifuge with smaller supporting frame or stand for the centrifuge, which can be used for worksites without much large room. GN Solids Control engineers provide this newly developed decanter centrifuge which can transport easily for mobile treating systems. The working performance and products quality are still as good as the former large version. Now GN Solids Control has the C version centrifuge. There are some important changes compare to the B version. 1. GN C version centrifuge is feeding from the large end rotating bowl, which helps to improve the feeding capacity largely. 2. The solids discharge port on the rotating bowl and liquid discharge port on the screw propeller are all protected with ceramic, which is much better for long time usage without wear. 3. GN also improved the screw propeller by make some openings on the screw propeller which helps to have a large separating capacity too. GN Solids Control also provides modular decanter centrifuge treating unit, including decanter centrifuge, stand, screw pump and all the related pipes and accessories. This modular centrifuge can be used to equip with the current shaker or cuttings dryer in customer’s worksite conveniently. Customers can use this decanter centrifuge directly when some simple assembling work. GN Solids America Houston office also provides modular unit for Hi-G shaker and Cuttings Dryer, for more info please feel free to contact us. GN Solids Control is the first solids control company who start to produce drilling mud system. After we have some jobsite experience, we will do some improvement based on the first generation equipment. A Fixation Unit is a good unit when running but, the one that is at Rabi is a bit limited , there is no control of the operational equipment exept stop and start, also there is no batching instrumentation so as to regulate volumes of cuttings to additive and the operators have to guess at what is being added . Also the chemical tanks are too small and the guys get caught out frequently when they run out of cement. Cleaning is another issue, as the unit seems to be very difficult to clean out, myself and Murdo cleaned it out for the guys one night to see what was involved, and managed to clean it so as to have clean clear water running out the end. It may just be the type of solids that we are processing are not suitable for the process in their current form and as discussed previously needs to be blended with sand or some other medium to bind them together first. If the unit was only processing cuttings then I think it would cope with no problems. Our engineer Mr. Wang also gave us some feedback for improvement after he came back from jobsite. It is VFD control for the auger system in our design. But as some internal communication mistake, we wrongly make it as fixed speed. We are now making the new VFD control panels, and will send to you soon. Regarding the chemical tank, we also decide to improve. Could you pls check with the jobsite and let us know what volume tank you need? And what capacity you need for the augers? Then we can consider in our design. Our engineers are working to improve the cleaning of the system. We will send you the upgraded design for check once we finish it. We definitely will improve the drilling cuttings unit much better and give more reliable service to the clients. 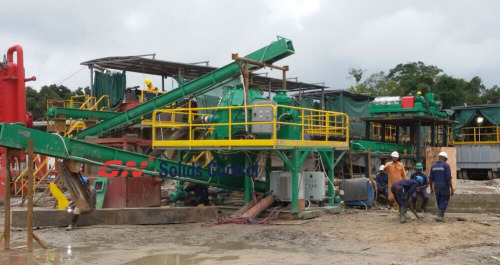 World top manufacturer GN Solids Control offers complete solution associated with water base mud as well as water base drilling cuttings, as well as oil base mud and oil base cuttings. Water base mud is a very normal type drilling mud for oil and gas drilling, particularly in China. Here we have a short introduction of the treatment system to get water base mud in addition to water base cuttings. GN Solids Control system may recovery drilling mud while more as better, and lessen amount of solids waste as little as better. After the GN system treatment, the fluids can easily clean enough for recycle for discharge. The solids phase is harmless along with dry; it can be used to help make bricks or other purposes. GN no pit drilling waste management system intended for water base mud as well as water base cuttings tend to be welcomed in China and outdoors of China. Like CNPC, CNOOC and SINOPEC are generally equipped with GN brand drilling waste management. 1) Excessive G drying shaker. It might be called High G dryer, or drilling cuttings dryer. The Qty is only two ea for 1 system. Model GNZS594HGE-LD. The shaker model is the 5 creation high G dryer shaker from GN Solids Control. GN own over ten ea patent design for the main line equipment. 2) High speed decanter centrifuge GNLW363C-VFD. It is the most advanced design centrifuge for waste management supply by china manufacturer. It replaced many United. S brand at several jobsite with its mature design and style and reliable performance. 3) Chemical dosing system along with dewatering centrifuge: If the clear fluids from the high speed centrifuge will not be reused for drilling, it will be transferred to chemical dosage system (or called dewatering unit) for further treatment. An excellent step the fluids is definitely clean and can be discharged. 4) Drill cuttings solidification product. It is used to treat all of the solids phase discharged by high G dryer shaker, from high speed decanter centrifuge and from the dewatering centrifuge. After the treatment of solidification system, the solids can be used to help make bricks for road structure. GN vertical cuttings dryer can be used for equally water based mud and also oil based mud/ or BINQ. The maintenance cost is one of the priority for mud service company or even waste service company, they are all buying a cost effect dryer for that drilling waste management weighed against US brand cuttings dryer or ship the spend to drilling waste management companies. (1) Screen basket, the particular screen basket and screen frame are separated ingredients and they are balanced separately. Typically the screen basket scraper is usually installed to prevent the dismissed fluids from blocked around the screens, sometimes the solids content is very high, it can be difficult to get down from the window screens. Based on different drilling cuttings conditions, the replacement period of time will be different for the screens, could you check with GN sales electrical engineer team for the required volume in one year. (2) Flites and also Cone Rotor Assembly, the actual 8 flites are permanent on the rotor assembly, it is advisable to replace it completely. The travel arrangements are used to prevent cuttings hindering the screens and scraping the mud inside the monitors. (3) Bearings replace time depending on actual working time. (4) Bell jar with scraper, the particular scrapers are used for solids relieve scraping. (5) Liquid discharge wedding ring, it is not easy to be damaged commonly, 1 set is required since back up. With flushing pump and air knife to offer pressurized cleaning, that is why GN cuttings dryer can be used with regard to both WBM and OBM. We have 2 units associated with vertical cuttings dryer stored in Houston warehouse, 6710 windfern road, Houston, TEXAS 77040, USA. 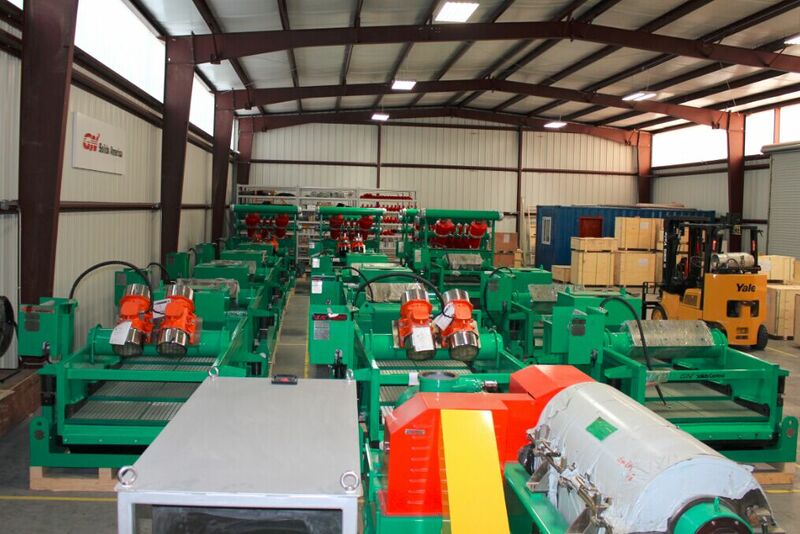 Welcome to look at our cuttings dryer in your Houston office to know more information from our sales team. GN Solids Control is a well known manufacturer who can provide decanter centrifuge and cuttings dryer. Many other solids control equipments are also manufactured such as various shaker screens for Derrick 500, Derrick 200, NOV King Cobra or VSM 300 screens. GN Solids America Houston warehouse has many screens in stock which help to provide a much better lead time. 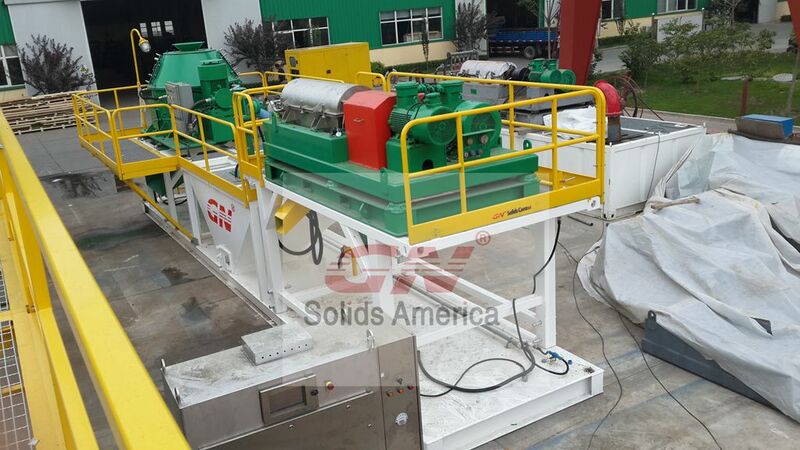 Recently, GN Solids Control just provided one set of decanter centrifuge to Africa. GN centrifuges have been widely used for solids separation and drill cuttings management. This decanter centrifuge is delivered to Nigeria for oil and gas cuttings separation. Although the oil price is very low at this time, Nigeria is keeping drilling and many worksites are even much busier than before. GN has provided over thirty sets decanter centrifuges to the Nigeria market. Every year, GN also manufactures over 300 to 350 sets decanter centrifuges. GN got this order from a regular client, who has been using GN shakers, centrifugal pumps as well as some other solids control equipments for many years. 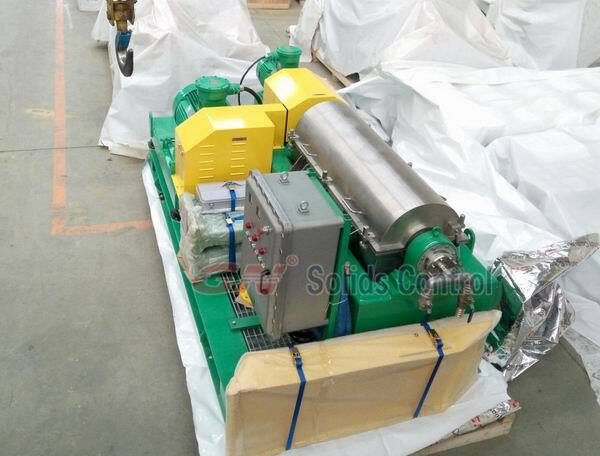 They will use this GN decanter centrifuge to match their cuttings dryer which is also purchased from GN Solids Control. For those cuttings separated from GN cuttings dryer, the particles are less than 250 microns are still in the slurry. While the solids that larger than 250 microns can be separated out in the form of solids or cuttings. So for the smaller solids, GN decanter centrifuge can separate them out, diameter that larger than 2 to 5 microns will separate out by GN centrifuge under the rotating speed of 3200 RPM. GN provides VFD centrifuge and fix speed centrifuge to meet various usage. All these centrifuges are explosion-proof. Now GN Solids America LLC also provides CSA certified or UL certified decanter centrifuges as well as cuttings dryers and shakers. Although the oil and gas market would make many oil and gas relating firms to feel sad during the past season by the low price of the unsavory oil, there are still chances for your good companies. 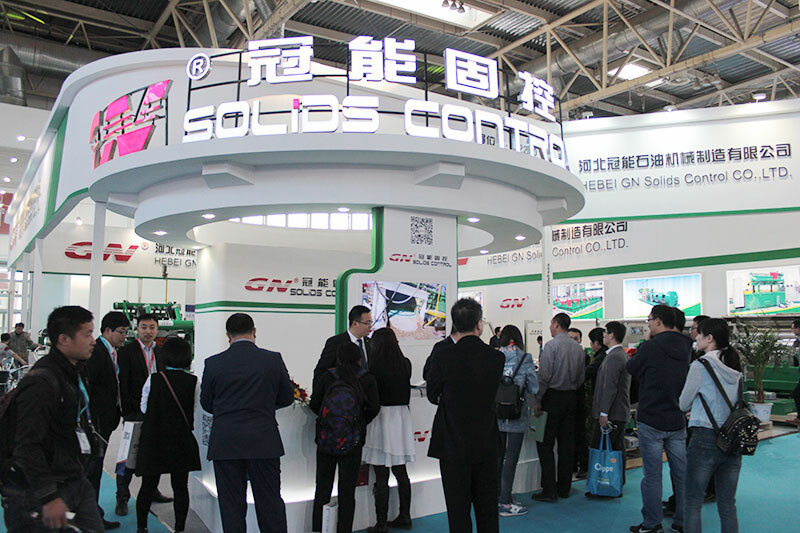 Like GN Solids Control, their consumers are still buying. The going companies in Africa continue to be looking forward to a brighter foreseeable future to come by fully prepared to get equipments and staff. This time around, GN Solids Control dispatched engineers to a North Africa equipment company on request of the clientele to do the commissioning of just one set of mud plant in addition to 4 sets of waste material management systems. This is a big drilling company in Cameras which provides solids control as well as waste management systems as well as services to the oil businesses who have oil fields inside Africa. They employ employees from local Africa although importing equipments from worldwide. Before, they bought products from USA only, however in case of the low acrylic price, in order to get a crammed benefit to be larger, that they choose to find suppliers supply by china manufacturer, and they visited all principal Chinese rig manufacturers and also solids control manufacturers and lastly decide to buy from GN Solids Control. 1 . GN is most well known solids control manufacturer in China plus 1st API certified throughout China. 2 . besides API certifications, GN also got ISO, DNV CE, HSE in addition to etc certificates, showing the duty of the company to the community and environment. 3. GN Solids Control equipment quality is equivalent to the usa and Europe suppliers, within word, from GN, they will buy at a better cost than US or Eu suppliers but the quality is usually equivalent. 4. Reassured right after sale service and repalcement parts, for main equipment and also systems, GN send technical engineers for first time commissioning along with training for end user’s workers for free for 1 week. About spare parts, GN always have essential spare parts in stock with regard to quick delivery. That’s the reason why more and more drilling companies along with oil service companies are deciding on to cooperate with GN Solids Control. In oil and gas industry for solids control equipment, the centrifuges are more and more used for separating out the fine and extra fine particles from the drilling mud system. In fact, they are taking over the former position of hydrocyclones like the desander cones and desiter cones. 1. solids control centrifuge. This is the centrifuge used in solids control system, as the fourth step for separate out the solids from the drilling mud. Normally, there are 2 centrifuges used in a solids control system for a large horse power system, one is for separating the valuable drilling material barite, which is expensive in price and could be re-used in future projects, the other is for separating out the particles which are too fine for the desilter cones. In most cases, GN clients use GNLW452 for barite recovery and GNLW363-VFD for extra fine particles in solids control system. 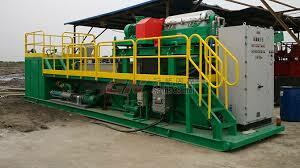 2. waste management centrifuges, for further treatment of the drilling liquid, the dewatering centrifuge. When the drilling fluid is used and reused for several times, there are extra fine particles in the drilling fluid are too fine for the centrifuge itself to get them out. So the end users need to add chemicals to merge them to be bigger, big enough for the centrifuges. In this case, GNLW363CG-VFD is recommended as the dewatering unit. And also, GN has dewatering unit available. 3. waste management centrifuge for further treatment of the solids discharged from the solids control system. When the solids are collected from the solids control system, they are not dry enough and couldn’t be discharged directly. So for the water based mud, there’s a drying shaker of High-G force and for the oil based mud, there’s a vertical cuttings dryer before the decanter centrifuge. GNLW363CG-VFD of high speed decanter centrifuge is ideal for this application. And GN also has GNZS594HGE-LD drying shaker and GNCD930CD Vertical cuttings dryer for the complete system.